Want to know everything there is to know about BlackVPN? Then read on. Internet service providers are out to collect your data and then sell it to the highest bidder. All without your prior consent. What can you do to protect your privacy and anonymity? The simplest way is to sign up for a VPN service. But not just any VPN service. To make sure that your data and privacy is protected at all times, you need to sign up for a VPN service that is trustworthy and legit. If you live in the US, internet service providers along with other cable companies want to spy on you. And then sell your personal information to third-party companies. Without a doubt, this is an era where government departments and marketing companies don’t care about user privacy and security. Let’s not forget about hackers and other cyber criminals either. Everybody is looking for an opportunity to hurt you either through selling your data or hacking your machine. And thanks to people like Edward Snowden we now know the extent of NSA and GCHQ surveillance programs. You will get tracked and then your activities will get recorded. Someone, somewhere out there is recording (Google?) what you’re watching on YouTube. Some entities are actively monitoring your clicks. Of course, there isn’t actually a person sitting behind his desk looking at your stuff. This is the machine age. Everything is bowing to the might of computer algorithms. In other words, surveillance systems have come a long way from what you see in TV series like The American. Did we mention the fact that technology companies survive only because they have your data? Companies like Google and Facebook don’t offer you the world’s best products for free. They charge you with your data and your privacy. The solution is a VPN service. A VPN service is the only way to secure your privacy. For people new to the VPN industry, a VPN is simple a technology that encrypts your internet traffic and then reroutes it through a tunnel in the form of a VPN server. Hence, your data becomes invisible to marketing agencies and government organizations. Hackers too can’t access your sensitive information without spending millions of dollars. Now, with that said, buying a VPN service isn’t as easy. There are literally hundreds of VPN services in the market. Some of them are outright frauds. And the ones that are legit are so closely matched that it becomes quite difficult to go for one over the other. This is just how the VPN industry works. For the end users though, it is important that they do their research before signing up for any VPN service. The VPN technology is a sophisticated one and hence requires a little bit of understanding on part of the end-user. You can’t spend hundreds of hours to search for the best VPN service provider. Even if you can spend those hours, it’ll be slightly demanding on your schedule to go through so many packages and features. Lucky for you, we do all the work for you. And review VPN services that we think deserve a review. That doesn’t necessarily mean they are all good though. Today in this BlackVPN review, we’ll take a look at BlackVPN to determine if it fits the bill for users who want privacy and protection from ISPs, governments, and hackers. BlackVPN is one of the new up and coming VPN services in the market and hence deserves a review of its own. Let’s begin out BlackVPN review then. There is no point in going ahead with a VPN service if you can’t even afford it. As mentioned earlier, the VPN industry is a competitive one. VPN service providers constantly have to improve the pricing of their packages if they want to remain relevant. Moreover, the price of a given product is usually the most valuable feature as far as end-users are concerned. If you can’t afford a VPN service, ti doesn’t matter how many features it offers. That’s the end of the story right there and then. To guard against “first impression” bias, VPN service providers have started to offer multiple packages for varying user needs. In other words, BlackVPN has several packages which are catered to different users. The packages themselves are pretty smart and presented to potential users in a detailed manner. It is clear from the official BlackVPN website that the company is targeting all market segments. BlackVPN has cleverly researched the VPN market and has come up with packages that may (or may not) suit a wide variety of needs and preferences. There are a total of three BlackVPN packages on offer. And as it has become an industry standard, BlackVPN offers discounts to new users who sign up with the service for longer periods of time. The longer the contract, the cheaper BlackVPN becomes. You can stream BlackVPN service from anywhere in the world. We’ll discuss more about this feature in the features section though. For most people, we think that the privacy VPN package would be more than enough. The cheapest package from BlackVPN comes at around $5 if the user signs up for a full year. There is also the full package which costs new users around $12 per month at its highest. If you have used a VPN service for any considerable amount of time, you would know that BlackVPN isn’t exactly cheap. But it isn’t expensive either. It falls in the middle somewhere. As it turns out, if you scroll right to the bottom of the official website, you can subscribe to a few more packages (which are basically the same but with more details than before). This package costs €9.50 if you sign up for one month. Increase the duration to three months and you’ll only have to pay €27 for three months. Sign up for the Global Package for a full year and have it for just €99. As the name sounds, the Global package gives you everything BlackVPN has to offer. It has the largest number of servers along with the ability to engage in P2P and BitTorrent activity in a safe manner. You can watch all content in the USA with this package. The same goes for UK TV as well. This package allow allows users to unblock Netflix and BBC iPlayer. The TV package costs €7.5 per month. Sign up for three months and pay only €20. Increase that period to a year and get it for €75 only. The TV Package allows users to watch all USA and UK TV alike. It unblocks Netflix and BBC iPlayer as well. The privacy package can be had for €5 per month. For three months you only have to pay €13. And for a year, you pay just €49 which is even less than €5 per month. It is the best-value package but with some limitations. You don’t have access to all UK and US TV. But you do get to use the P2P feature and it unlocks Netflix as well. About ten percent of the payment you make to BlackVPN goes to EFF. Similar to the Privacy Package, you can sign up for USA package for €5 per month. For three months you only have to pay €13 and €49 for a full year. This package unlocks Netflix USA and all other USA TV channels. This package is exactly the same as the USA package. Just replace the word “USA” with the UK” in USA Server Package. It does unlock Netflix USA though. BlackVPN donates a portion of its profits to support organizations such as the Electronic Frontier Foundation. Not that it would make a difference to the overall quality of a VPN service, but it’s always nice to see a VPN service giving back to the community. 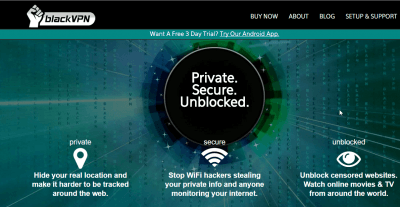 BlackVPN also offers a fourteen-day money back guarantee with all its packages. And BlackVPN money-back guarantee is better than almost all VPN services we know of. Because they offer you the whole service instead of a restricted one. Moreover, BlackVPN also sells DD-WRT flashed routers. These routers are reasonably priced from our experience and can be immensely helpful when it comes to managing VPN connections. There are other routers as well but we’re doing the BlackVPN review here so we won’t discuss routers. Apart from the price, a VPN service is generally distinguished from other VPN services by how many features it offers. Of course, everybody knows this trick. And hence “more feature means more value” mantra has lost its charm and more importantly its effectiveness. Now, you don’t just look at the number of features a particular VPN service is offering. You actually study those features. Are they features you are likely to use? In fact, are they feature that anyone would want to use? All of these questions should be kept in mind while going through the list of any VPN service features. Truth be told, the VPN industry in the modern age is more about completeness than it is about being the best in a certain area. The more complete a VPN service is, the more business it will get. But of course, this is real life. And that means that no one VPN service is the best in all given areas. Hence, this kind of a situation promotes competition and harbors innovation. VPN service providers now have to compete with other VPN services in not only the number of features but also in the quality of those features. They also have to compete with other on how user-friendly their features are. Some VPN service providers augment their list of features with some useless ones. Needless to say, customers of today are smart people. They can quickly recognize if a VPN service is offering an extra feature for the benefit of the customer or the benefit of the VPN service. So, our advice to every VPN service provider is that they should focus on offering modern, well-built and tested features rather than on the number of features. BlackVPN is a VPN service provider that is based in Hong Kong. Now, Hong Kong is more or less an independent company if you take out things like military and foreign relations. Think of it this way, when it comes to economics and way of life, Hong Kong is a country. But when it comes to war, foreign policy, foreign investment, visa, Hong Kong is a part of China. Regardless, BlackVPN has some decent features up its sleeves and gives off a neat look overall. BlackVPN allows users to connect up to three simultaneous devices per user account. That means if you go with BlackVPN as your main VPN service provider than it can protect all your devices assuming you don’t have more than three. BlackVPN does not offer P2P services and hence users who want to download files or engage in torrenting will have to go someplace else. Why does BlackVPN does not offer P2P or torrenting features? Well, the company wants to protect its users to the fullest. Without going into too many details, as per official policy, this is (they think) the best way to protect users from law enforcement agencies and more importantly, from themselves. BlackVPN does allow P2P activities but only via special servers that are available in new packages. The official BlackVPN website is modern in its look and justifies the name BlackVPN. It does that by painting the whole website in black. The whole website is basically a combination of a dark background with light text. We haven’t seen too many VPN service providers do that. Most of the premium service providers go with bright colors so to attract more customers and give them a sense of security and hope. BlackVPN does the opposite but achieves the same result. But even if it doesn’t, it is refreshing to see a VPN service provider that is not afraid to take risks and buck the trend. As far as the design of the official website goes, it is also “nice” to say the least. We say nice because previously BlackVPN did not have a website that belongs to the 21st century. Fortunately, the company realized this point and revamped the whole website. More than anything else, the current version of BlackVPN website is a definite improvement over the old one. You can find most of the important stuff in the appropriate places and that saves a lot of time and effort on part of the user. The content is evenly spread across the whole official website and hence users can know about the VPN service with great clarity and straightforwardness. IN other words, nothing is hidden. BlackVPN has a unique feature which may pay off in the long run. This feature is difficult to name actually. So we’ll just go ahead and describe what it does. Basically, regardless of your location or the location of the VPN server you connect to, you can always unlock content from places such as the UK and the US. It also works with other streaming services such as Hulu and BBC iPlayer. BlackVPN does its best to provide users with a smooth VPN experience. But it doesn’t rest on its laurels and backs that up with tight VPN security as well. Read the following sections to find out more. Well, it isn’t much of a feature as it is a service. BlackVPN has this ReadThenBurn service which enables users to send messages to their friends. The messages themselves are encrypted and are burned when they are sent. BlackVPN ReadThenBurn feature is based on an open source technology and that means you can easily see the code behind the service for free whenever you want to. Of course, this adds to the overall list of features for BlackVPN service and users can take advantage of this service by using it to, for example, send log files to the company for troubleshooting purposes. Whenever you look at a VPN service’s quality of service you should always start with the number of servers. Features and pricing are important factors too. But they don’t determine the quality of a VPN service. To measure a quality of a VPN service, you have to look at its VPN servers. Mainly, their performance, number, and variety. BlackVPN offers servers in 12 different countries. Most of those VPN servers are located in Europe but you can also connect to some which are located in Northern America and some parts of Asia. Regardless of price and features, and even speed, if a VPN service is not secure enough, it defeats the whole purpose of signing up for a VPN service. When you sign up for a VPN service, you must make sure that they have their absolute focus on security. Not on speed, features or price. Without security, a VPN service is as good as dead. You want your VPN service to keep the likes of NSA and other agencies off your back. If a VPN service can’t even guarantee a reasonable amount of security then there is no point in signing up with such a VPN service. As alluded to before, being registered as a VPN company in Hong Kong gives BlackVPN a huge advantage over some of the other VPN services. Particularly those that are located in countries such as the United States of America and the European Union. In other words, BlackVPN does not come under US and EU jurisdiction. Of course, the staff behind BlackVPN know this fact full well. It is the reason why the people behind BlackVPN moved the VPN company to Hong Kong back in 2012. Now, BLackVPN doesn’t have to comply with any court orders or subpoena. They also don’t have the likes of NSA and GCHQ watching their every move. When we talk about security in VPN services, we’re basically talking about encryption. A VPN service must have strong encryption technologies. Otherwise, user data might be exposed to hackers and other cyber criminals. BlackVPN uses a 256-bit AES OpenVPN encryption with a 4096-bit key. That makes BlackVPN encryption one of the most secure in the VPN industry. But do keep in mind that a high level of encryption does impact connection speed. To BlackVPN’s credit, the VPN company has done well to make sure that they provide great encryption with acceptable speeds. On average, BlackVPN is definitely not a slow VPN service. If you don’t want to use the OpenVPN protocol then you have other choices as well. BlackVPN has L2TP and PPTP VPN protocols available as well. As a matter of official policy, the company does not keep any logs. A little while back, BlackVPN did keep connection logs. But recent changes to the service mean that BlackVPN now keeps no logs whatsoever. You are safe and anonymous no matter how you use BlackVPN. This obviously does not mean that BlackVPN will be complicit in its communal responsibilities. The company, as a matter of policy, tries its best to not give up user information but since BlackVPN is a business, expect it to co-operate with the law just like all the other VPN service providers to. You can tell that a VPN service provider is serious about privacy when it doesn’t even have a client area on its official website. Well, BlackVPN doesn’t have a dedicated section to its clients. So you can rest assured that with BlackVPN your privacy and anonymity is in safe hands. Moreover, BlackVPN doesn’t even have a client area in its official software application. So how do you use the service then? Well, BlackVPN provides each user with a random account number. That random account number also comes with the associated password. Users can then use these credentials to log into BlackVPN software application and use the VPN service. For those wondering, you get your random username and password details when you sign up for BlackVPN. The obvious downside of this arrangement is that it becomes slightly difficult to know when your VPN subscription has expired. But since this security tool provides great anonymity and privacy, you should be able to bear its small consequences. Since BlackVPN doesn’t even have a custom-built dedicated app for the desktop environment, perhaps you should have seen this coming. Yes. BlackVPN doesn’t have dedicated native apps for any platforms. But the official website has plenty of guides on how to setup BlackVPN on almost all platforms. BlackVPN has finally launched its Android application and you can download the application from Google Play Store. Without proper customer support, a VPN service loses a lot of ground to its competitors. You may the CEO of the best VPN service in the world, but if your customer support is not up to the mark, you will face some serious consequences. See, with internet service providers and technologies companies all vying to capture and collect as much data no their customers as possible, it is the duty of VPN service providers to inform the public about VPN services and how they work. The political situation in most countries also means that more and more people who are not familiar with the internet and VPN technology will want to sign up for a VPN service. And when they sign up for a VPN service, they will need a lot of help in order to get the VPN service going. VPN service providers who slack off in this department will lose all those customers who aren’t computer savvy. IN fact, we think that a customer service program should start pampering customers even before they become customers. Every “good” VPN service provider should have a customer support program that not only takes care of its existing customers but also responds to questions and queries from potential customers. The VPN business is a totally online business. And the only way the people behind a particular VPN service can interact with their potential customer sis either through the official website or through the customer support department. Hence it is absolutely vital for all VPN services to offer customer support that is not only fast and responsive but also knowledgeable and willing to spend a bit of time on each customer’s query. Otherwise, they should expect to lose a considerable chunk of the VPN market to their competitors who offer better customer support. It looks like BlackVPN has come prepared to dominate the VPN market. In other words, we mean that it has given some serious thought to its customer support program and hence provides every kind of customer support feature that a potential customer could ever need. BlackVPN has three types of customer support features. A ticketing system (which has become an industry standard just like the free trial and money-back guarantee feature). If you go to the official website of BlackVPN, you should have no problems in finding the FAQ section and getting help. The FAQ section is nicely fleshed out and has decent content. To put it another way, it answers most of the frequently asked questions, something which many FAQs (the irony) don’t do. There are also some troubleshooting guides on the official website. New users who just want to keep the Trump administration off their backs but don’t know how to use a VPN service for all or any of their devices should find the tutorial section of BlackVPN immensely helpful. As mentioned before, BlackVPN offers the standard ticket support system. While the ticket support system by its very nature is not the most responsive or helpful one, it is extremely efficient and, if the VPN service providers want it to be, very quick. Expect the BlackVPN customer support staff to take good care of your questions and concerns. In fact, we have heard that they also, sometimes, walk new users through the entire process and help them solve their problems till the end. So don’t hesitate to contact BLackVPN customer support department either after your purchase or even before it. What About The Live Chat? Is It Any Good? Well, let’s just say we just played a dirty trick on you guys. Because BLackVPN live support isn’t really live. It’s not a 24/7 live chat service which basically kills the purpose of offering live support in the first place. And it doesn’t have any fixed timing as far as availability is concerned. Some reviewers have found out that BlackVPN customer support can be contacted via live support around 8 am to midnight GMT from Mondays through Fridays. If you want live support during the weekends then contacting BlackVPN staff will be even more frustrating because of the irregular hours. The OpenVPN client of BLackVPN is better at achieving higher speeds when it comes to VPN servers. It also performs better when compared with Viscosity. But do take note that numbers matter little when it comes to real world performance. So much depends on where you are located, where is the server that you are connected to is located and what the current network conditions. Moreover, VPN services by their nature slow down connection speed. Because they have to perform so many functions in order to protect you. VPN services first encrypt your data and then reroute it. Some VPN service providers offer double VPN and hence have to perform double encryption. While that is great for security and privacy, it takes a toll on the overall speed of the user’s internet connection. So always expect connection degradation when using a VPN service. Your latency rates should increase and download/upload speeds should decrease while using any VPN service. We can report that BlackVPN is a fast VPN service. It is not the fastest though. Other VPN service providers such as ExpressVPN and PureVPN are probably way ahead of BlackVPN when it comes to speed. With that said, you should have no problems in streaming videos from your favorite websites. Surfing media-heavy websites should also pose no problems. Of course, all of this depends heavily on the kind of internet connection you are using right now. If your internet connection is already slow, then a VPN service is going to feel even slower. A fast connection will give the impression of a fast VPN service as well. As far as DNS and IP tests are concerned, BlackVPN passed them all with flying colors. Users who want to test for IP leaks themselves should go to ipleak.net and test BlackVPN out. First, let’s talk about the actual sign up process. We’ve already discussed the fact that BlackVPN takes your privacy and anonymity very seriously, just like most VPN service providers to. Following on from that, to sign up for BlackVPN all you really need is a valid email address. Of course, you’ll have to pay via Bitcoin if you want to make sure the anonymity chain never gets broken. If you choose to pay via some other methods then there is a possibility that you’ll have to provide more information about yourself. We’ll talk about the Windows VPN client for BlackVPN in this BlackVPN review. But it should give you enough information to judge how good or bad BlackVPN would be on other platforms as well. To start off, BlackVPN doesn’t really have a custom VPN client of its own. It provides its VPN service through an OpenVPN client which is rather easy to setup and use. You can also use Viscosity if that’s your thing but most users go for OpenVPN because of its reliability and security. Or you can use both if you have too much time on your hands. Apart from that, we can report that both clients work fairly well. However, if you want to be able to view more information about your VPN usage and other statistics then Viscosity is clearly the better choice. Some reviewers have reported that they faced small issues while trying to connect to some of the VPN servers. Most of the VPN connection issues occurred with VPN servers in Russia and Ukraine. But this should not be a cause of worry for most users. Because in countries like Russia and Ukraine, it is usually the fault of internet service providers along with VPN servers rather than the VPN service itself. BlackVPN knows this fact very well. But official sources say that they are working on the issues and will have them resolved at the earliest. There isn’t particularly something bad about BlackVPN. Apart from the fact that it doesn’t have a native app for Windows or any other platform other than Android. BlackVPN gives great attention to user privacy and security. THe company keeps no logs as a matter of official policy and has an FAQ section that is comprehensive and helpful. MOreover, with each subscription of BLackVPN package, you get a free Viscosity license. Which is great on its own. The customer support is excellent and BlackVPN further boosts the chances of acquiring new customers by offering a 14 day free trial. As mentioned at the top, it doesn’t have native apps except for Android. Its performance can be a bit irregular at times and some reviewers have faced some connection issues as well. Other than that, there is nothing to really hate about BlackVPN. It’s just that, there is nothing remarkable about BlackVPN either. BlackVPN faults, though not huge, are enough to keep it from becoming a premium VPN service. But it does have potential. It can become a great VPN service. 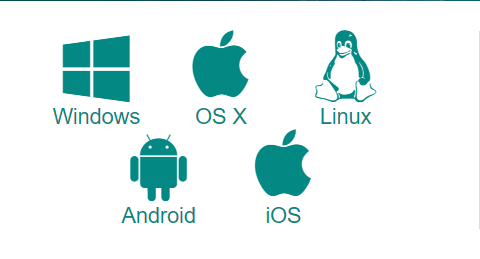 BlackVPN can start its journey to the top by developing native apps for all major platforms and make streaming even more enjoyable. Moreover, BlackVPN claims that its VPN service can protect users from DDoS attacks. We aren’t quite sure how we can verify that claim. If you are serious about getting the best-value-for-your-money VPN then you should check out IPVanish. They are our top ranked VPN provider. Read the IPVanish Review here.